Deadline to sign up for Falmouth Rogue extended to April 5th! 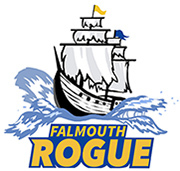 We’re keeping registration open for Falmouth Rogue, our travel team, until April 5th! Click over here to register for Falmouth Rogue. Signups for the Intramural team will open up in a couple of weeks. Previous Previous post: Our first Falmouth Rogue disc design!